Knitted Petticoat and Crochet Shoulder Cape, Harper’s Bazaar, 1897. 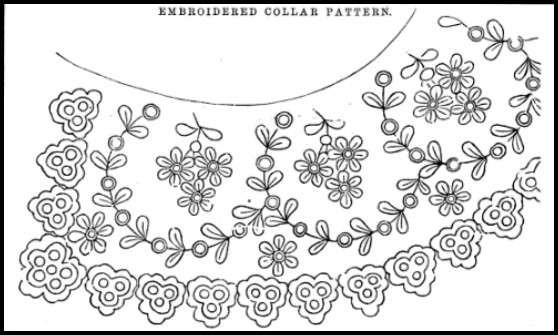 Embroidered Collar Pattern, Godey’s Lady’s Book, 1855. Despite many modern advances, plain and fancy work—of the sort so popular in the Victorian era—are still around today. 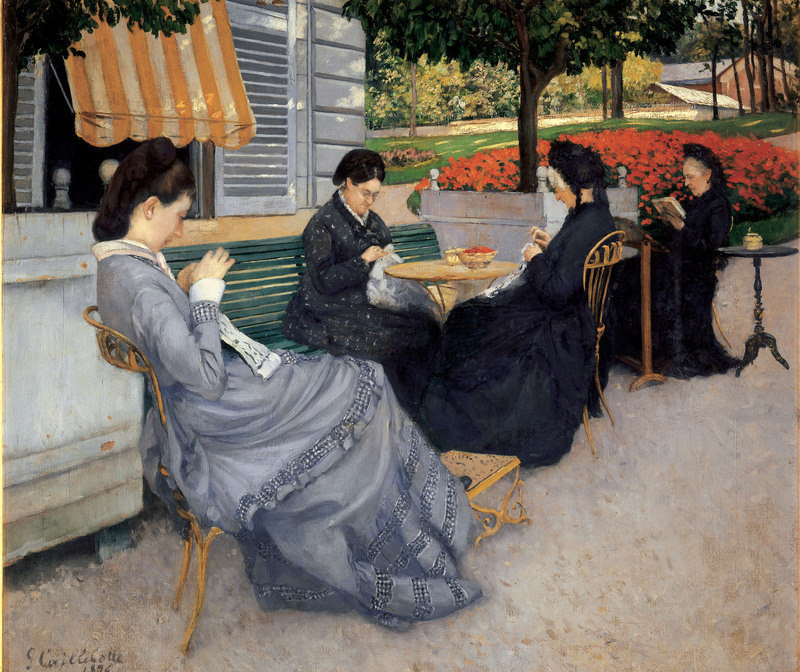 Countless women all over the world spend their free moments on knitting, crochet, or embroidery. Not because it makes them more marriageable and not because it is a necessary life skill, but because they enjoy it. To be fair, I believe there were many who enjoyed it in the 19th century as well, however, I must say that I am quite thankful that it is no longer a prerequisite to being considered an accomplished lady. 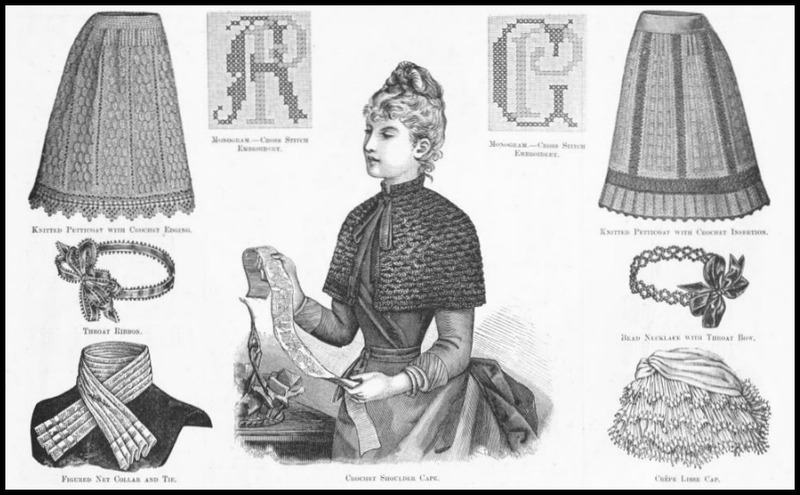 I close this article with a few interesting images of Victorian era crochet projects. You can find the full patterns for all of these items at the links cited below—though I urge you not to inflict a crocheted corset on your baby or a crocheted muzzle on your dog. 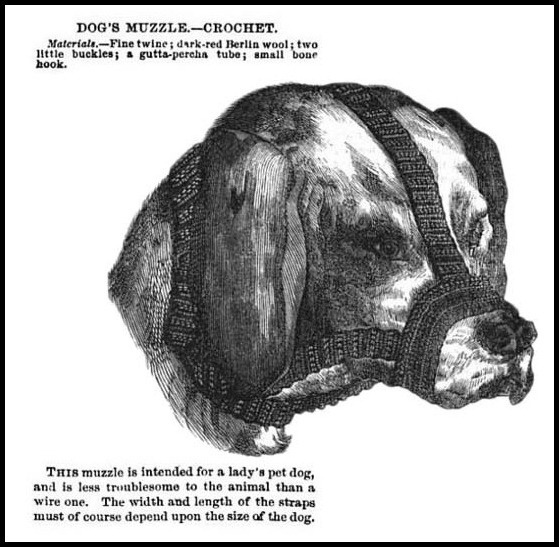 Dog Muzzle Crochet, Godey’s Lady’s Book, 1868. 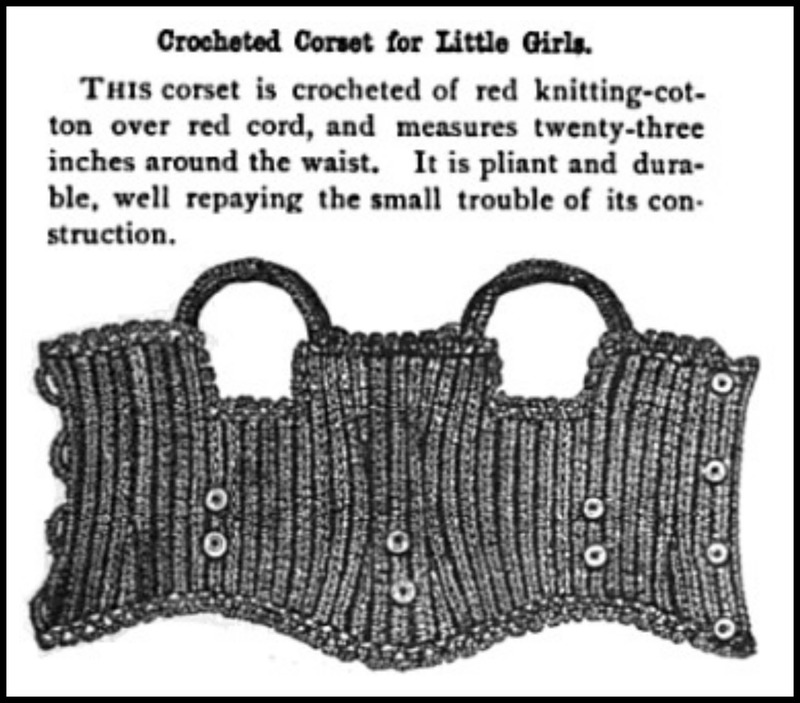 Crocheted Girl’s Corset, Babyhood Magazine, 1887. Crochet Cape for Elderly Lady, Harper’s Bazaar, 1871. 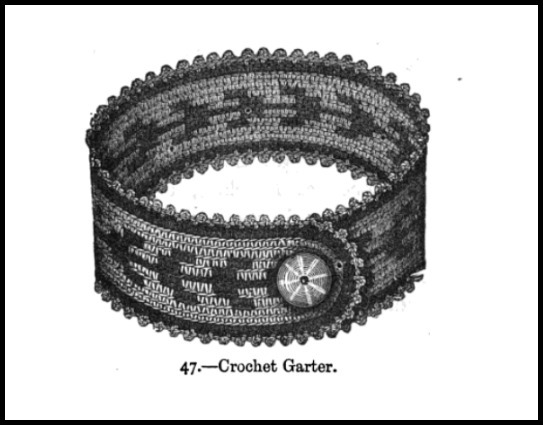 Crochet Garter, Madame Gouband’s Crochet Book, 1871. Babyhood: A Monthly Magazine for Mothers. Volume 3. New York: Babyhood Publishing, 1887. Church, Ella Rodman. The Home Needle. New York: D. Appleton and Co., 1882. Falk, Gerhard. Twelve Inventions which Changed America. Plymouth: Hamilton Books, 2013. Godey’s Lady’s Book. Vol. LI. Philadelphia: Louis A. Godey, 1855. Godey’s Lady’s Book. Vol. 77. Philadelphia: Louis A. Godey, 1868. 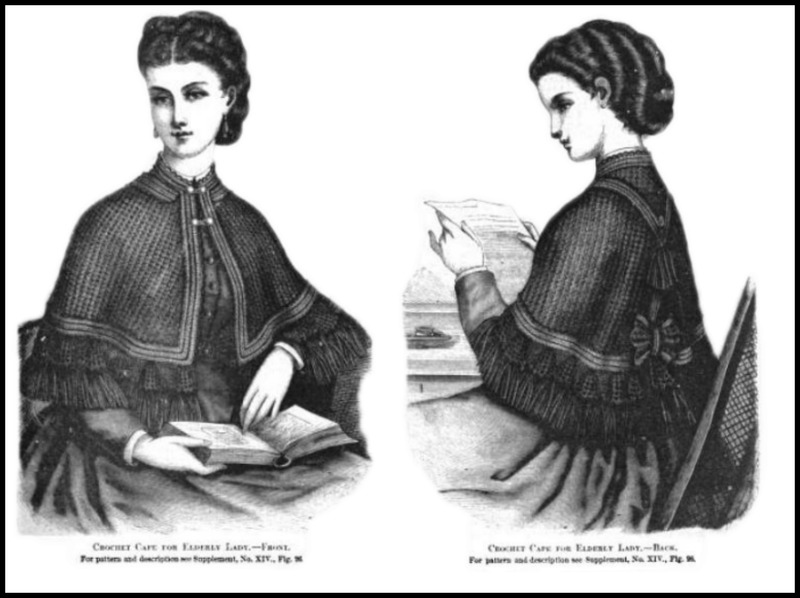 Godey’s Lady’s Book. Vol. 93. Philadelphia: Louis A. Godey, 1876. Green, Nancy L. Ready-to-Wear and Ready-to-Work. Durham: Duke University Press, 1997. Goubaud, Mme. Adolphe. Madame Goubaud’s Crochet Book. 1871. Harper’s Bazaar. Vol. 4. New York: Hearst Corporation, 1871. Harper’s Bazaar. Vol. 6. New York: Hearst Corporation, 1873. Harper’s Bazaar. Vol. 20. New York: Hearst Corporation, 1887. Kortsch, Christine Bayles. 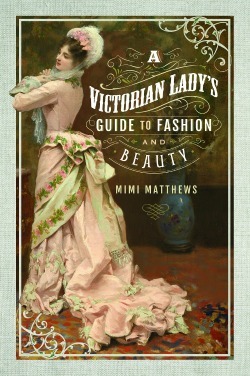 Dress Culture in Late Victorian Women’s Fiction. New York: Routledge, 2009. Savage, Mrs. William. Gems of Knitting and Crochet. London: Simpkin, Marshall, & Co., 1847. I bet you’re right about that crocheted corset being warm in winter! I have actually never heard of sewing a bottom drawer in anticipation of marriage. Was it a popular ritual? Sort of like a hope chest? My gosh, Sarah–I was lucky once to crochet a little blanket for one of my rescue dogs! I wish I had the skills that you have. I’ll bet your knowledge gives you some insight when you’re writing your Regency novels! Excellent! It seems like such a wonderful hobby now but was probably a necessity then. 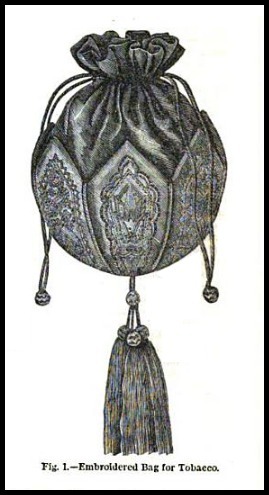 There must have been something very satisfying for Victorian women in creating something of their own. Absolutely! There is nothing like completing a sewing project that you can use in day-to-day life. You’re very welcome, Anne :) The dog muzzle is my favorite too. Very interesting! It seems that needlework used to be considered merely a craft or frivolous way to fill women’s time. But it was also an art form. I’m reminded of American quilts made by pioneer women. Those that survive are extremely valuable. Thanks Claudia :) And you’re very right. It’s also similar to the middle ages when ladies worked on tapestries. Those tapestries are worth a fortune now. My mother used to make quilts and do not only needlepoint but petit point. I even learned that skill for fun. Never could knit but boy could my mother knit like crazy. I was always amazed at her skills. It is amazing what the truly skillful seamstresses among us can accomplish! My own sewing skills are minimal, but I always marvel at how gifted others are. Thanks so much, Pam :) My mother is a crocheter like you and I think it reduces stress for her as well. It’s one of the many benefits of sewing! I so appreciate your posts — thanks so much — wonderful job! Thanks so much for your kind words :) I’m so happy that you enjoy my posts! Woman’s Weekly, which is one of the oldest magazines in the UK always had sewing, knitting and crocheting projects in its pages since the publication was founded in 1911. I did learn sewing and crocheting at school, was decent with the former and rubbish with the latter. You’re lucky to have learned it at school. My mom had home economics in school when she was younger, which included some sewing, but when I was in school it had long stopped being offered. I suppose it was not considered to be wholly PC. I went to a Catholic all girls’ school that’s why. I did wish we had a choice, I would have carried on with sewing but was forced to do crochet as well which frankly I didn’t like. Plus men did sewing, knitting and crocheting too. Look at Queen Mary as an example – all her sons especially the two oldest were adept at needle, thread and knitting needles. I think you’ll find The People’s Friend predates Woman’s Weekly… it was founded in 1869 and also has been stuffed with practical projects. I don’t know when they started this but they also run a yearly ‘love darg’ [darg is Scots for a day’s work] in which they ask readers to make something to donate through the magazine to charity. Many thanks and I stand corrected. Long after the Victorian age ended, women must have continued to do a lot of this “fancy” work because I would find it the work baskets of those who lived and passed on mid-20th century. Oh absolutely! Fancy work is still a popular pastime today. Thanks for the mention of your pinterest page, Sarah – I’m following. You’re welcome to have a look at mine, as well, also under my real name. thank you Pam, I shall! hah, we share a love of crochet – and tea.